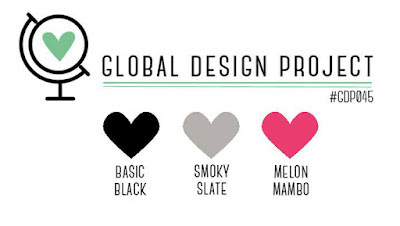 This week at Global design project they have a great colour challenge. Lovely neutrals with a pop of colour to match my favourite DSP from this year's catalogue. The design team have come up with some great ideas for these colours and so have all the participants. Make sure you take a look here and maybe even enter yourself!